Product prices and availability are accurate as of 2019-04-12 17:46:01 UTC and are subject to change. Any price and availability information displayed on http://www.amazon.com/ at the time of purchase will apply to the purchase of this product. 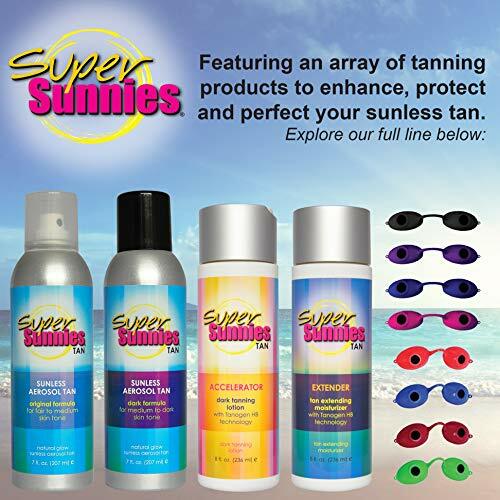 Protection of your eyes during UV exposure is critical for health and cosmetic reasons to prevent eye injuries and Lucas Products Corporation has you covered. The original and still the world's best selling UV eye protection, Super Sunnies Eyeshields have offered uncompromising protection for your eyes both indoors and outdoors since 1957. Designed to blocks over 99.9% of the UV-B rays and over 99% of UVA rays while allowing vision and meets all FDA's 21 CFR 1040.20 UV ray protection. Choose from our Super Sunnies Classic Eyeshields or our new Super Sunnies EVO Eyeshields.